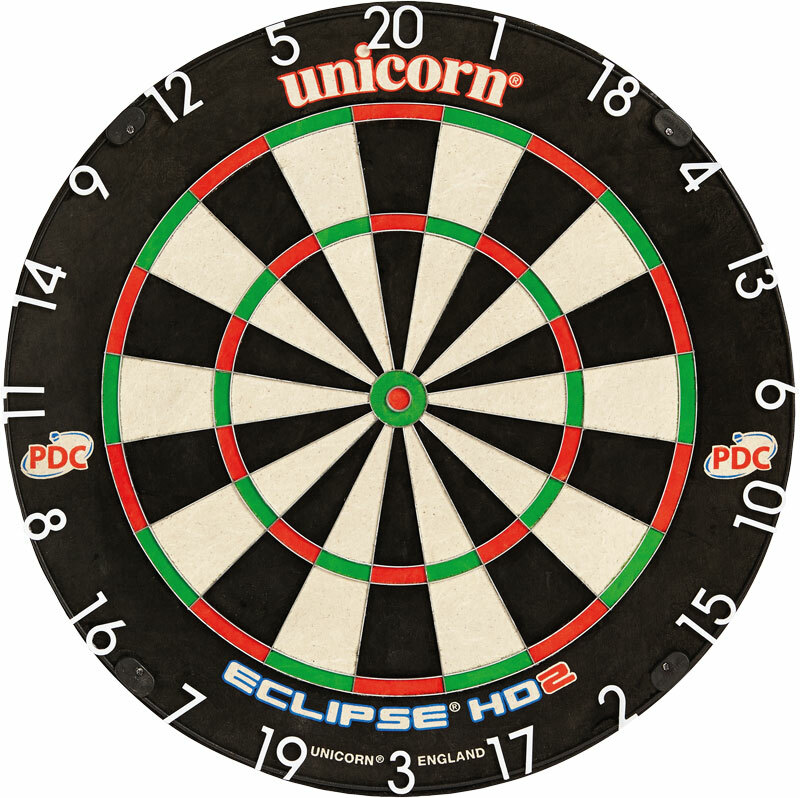 The Unicorn ® Eclipse HD2 Dartboard is the PDC board of choice until 2022. Used in all PDC tournaments. High visibility replaceable moulded numbers. Ultra-slim wire - no external legs for high definition radial spider. Matt black number ring minimises distractions. Slimmer bullseye wire - increases playing area By 14%. This.was a gift it is as described and arrived promptly. we gave the dartboard to one of our pub customers and they are very happy with it. If only the product looked like it does in the image. I had 2 sent to me, the first one, the bullseye was completely off centre and chunks missing from out of the board and the replacement i received, although the bullseye was central some wires were broke and again chunks were clearly visible within the board. For a board that's supposed to be the best in the market it really let me down. CS from Newitts was great though.